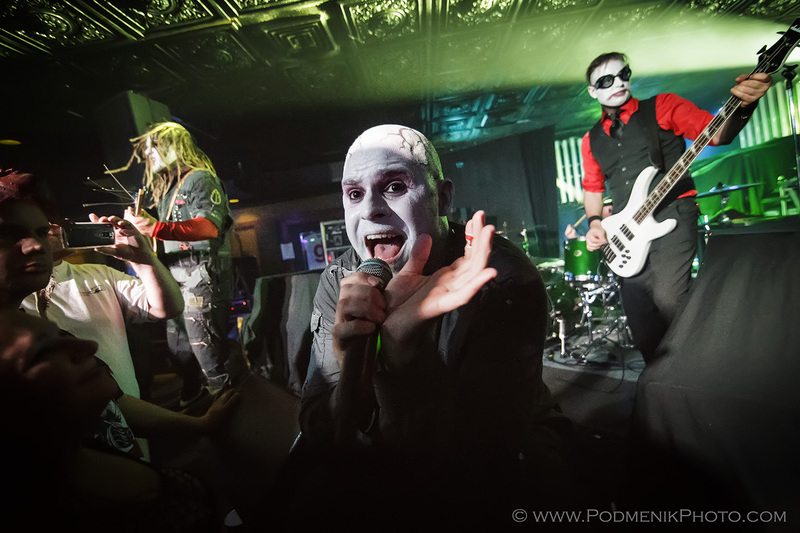 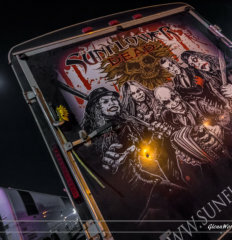 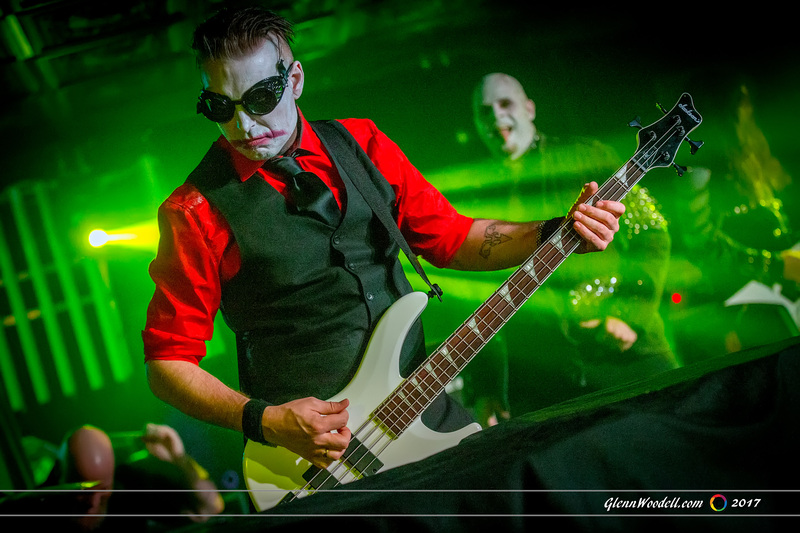 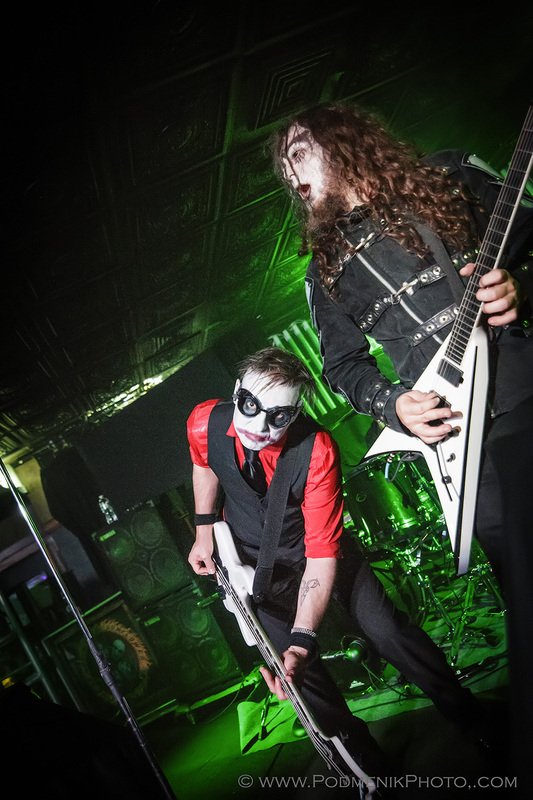 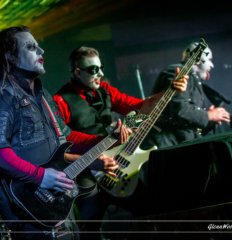 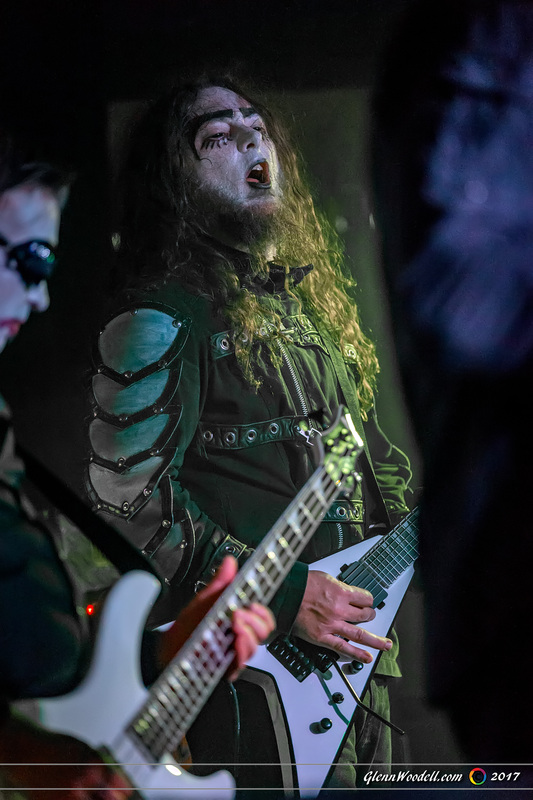 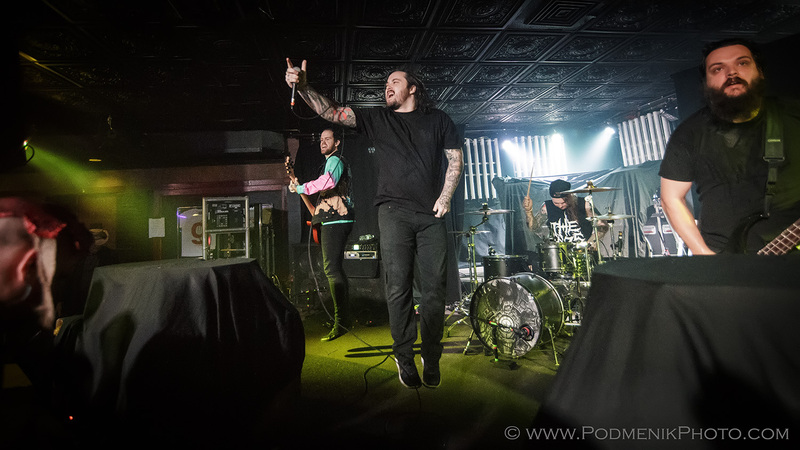 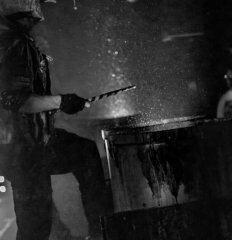 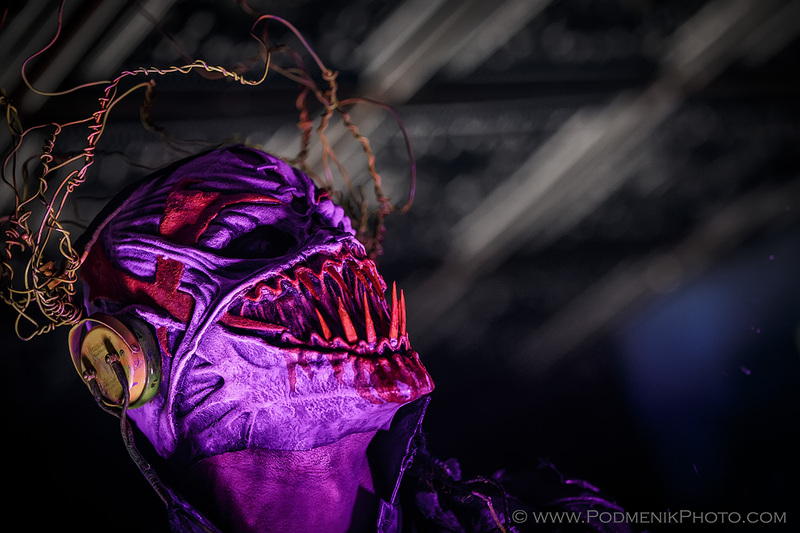 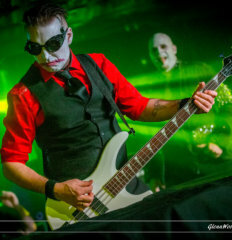 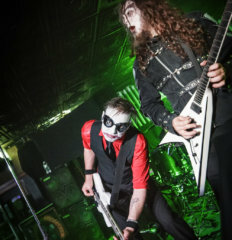 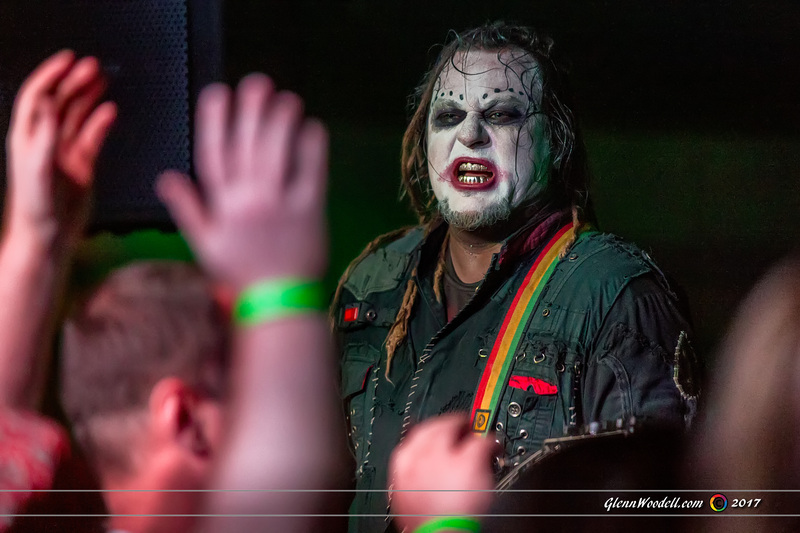 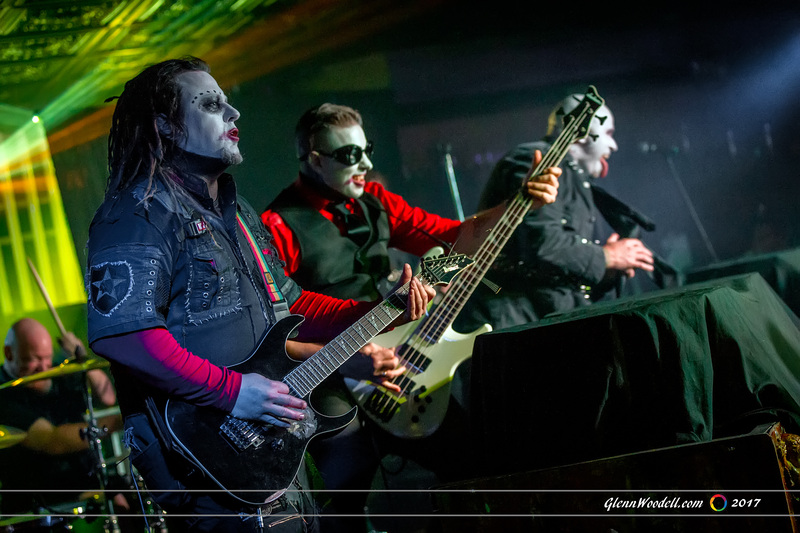 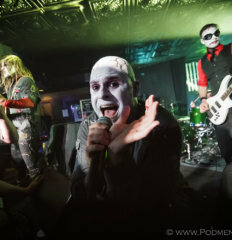 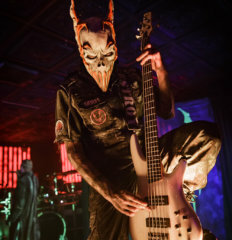 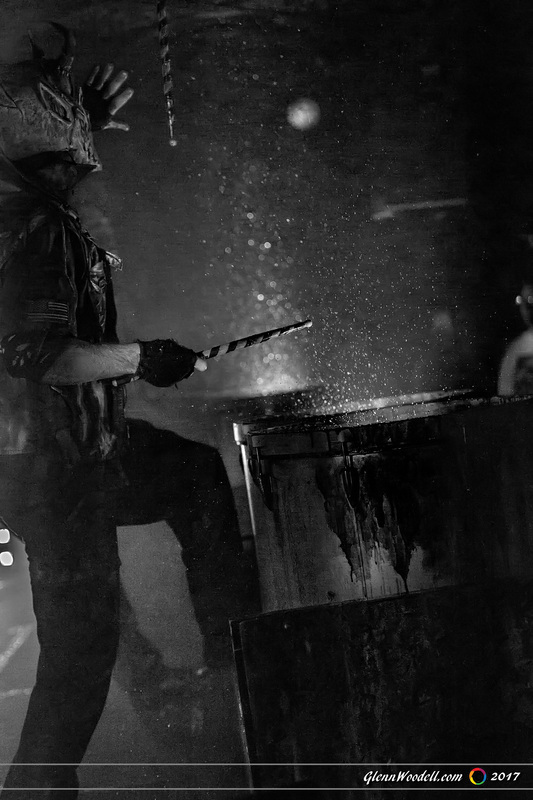 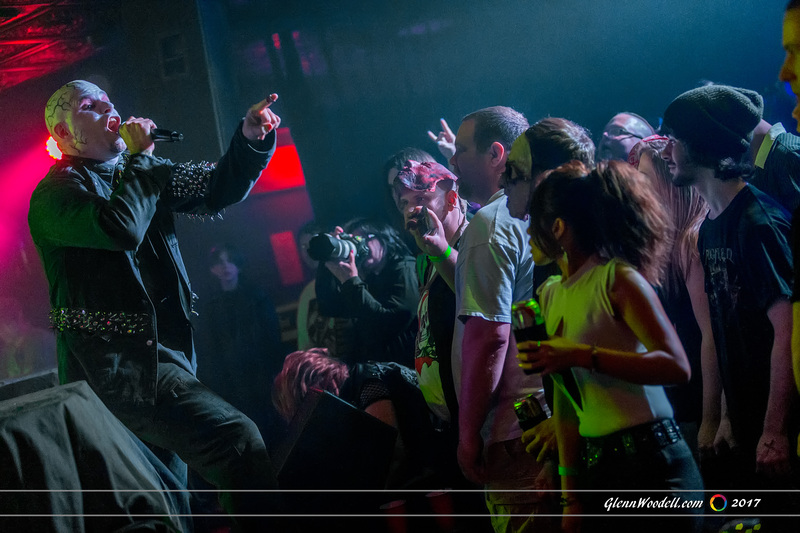 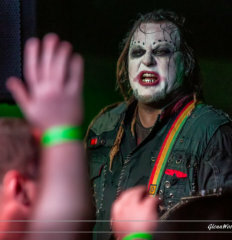 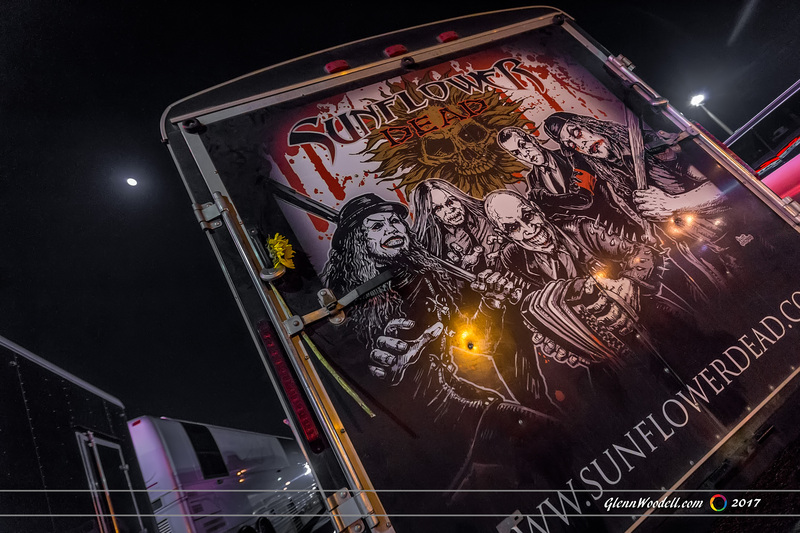 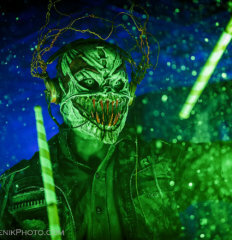 VIRGINIA BEACH, VA: This event in Virginia could have been billed as a metalfest, as a total of seven bands filled the night during day seven of Mushroomhead’s current tour. 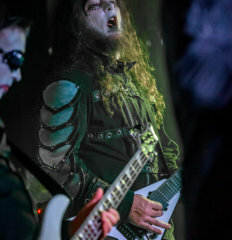 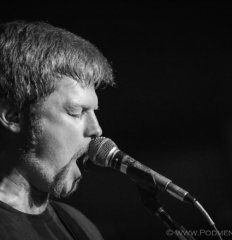 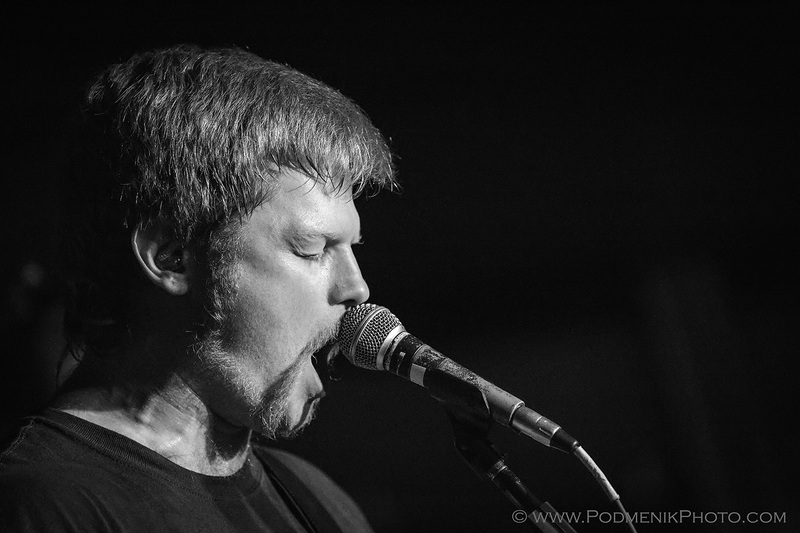 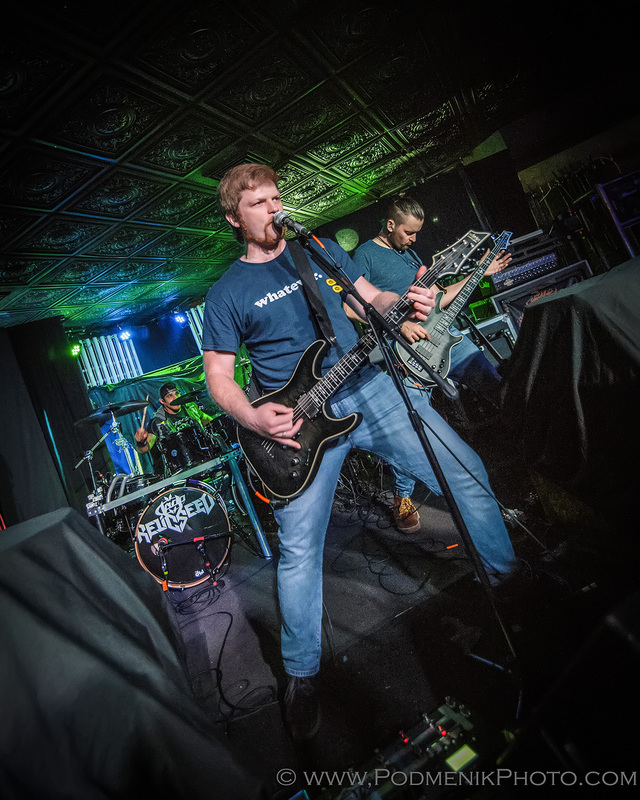 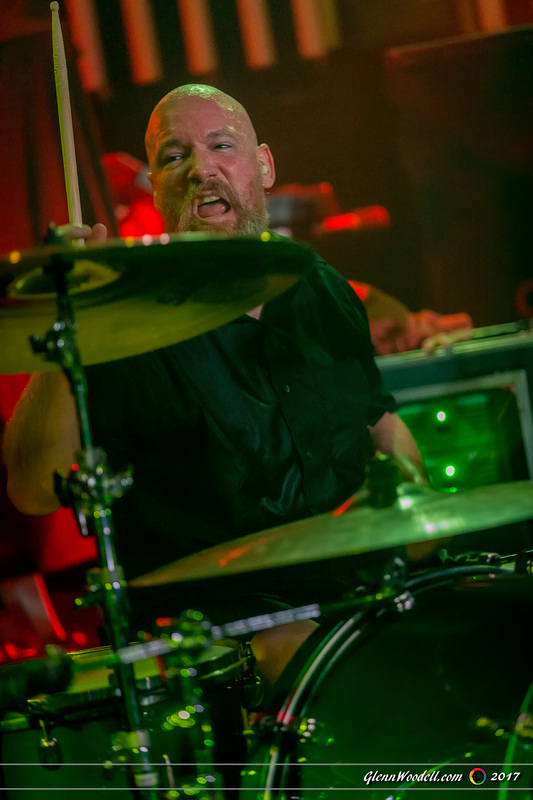 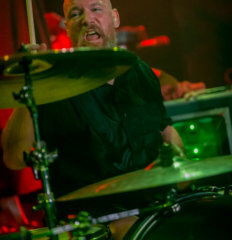 Relicseed featured a thunderous sound with only three band members onstage- Latvian vocalist Edgars Rakovskis made frequent jokes about the multicultural blend of the band. 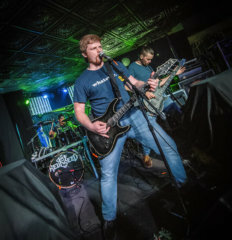 Following their strong set, spectators started calling out, “Is it time to get weird yet?” in anticipation of Sunflower Dead. 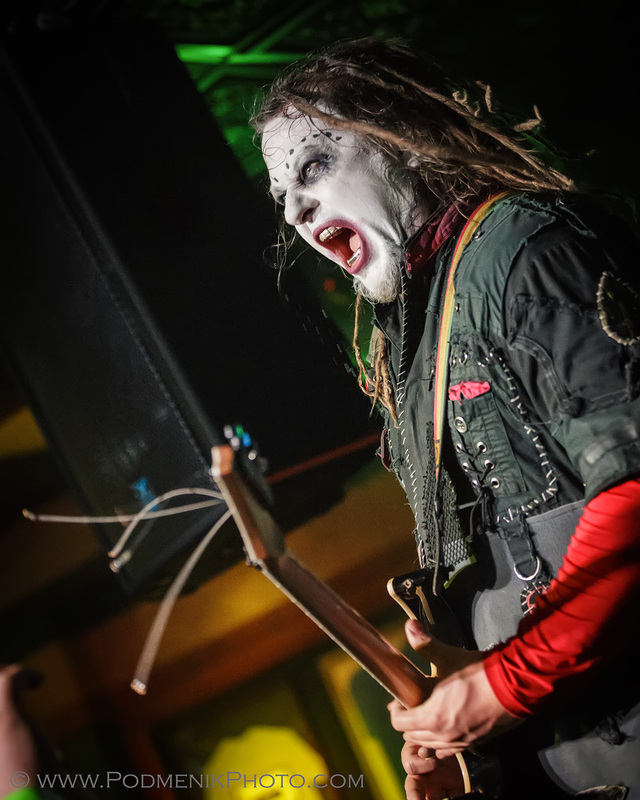 Wearing greasepainted faces and theatrically grimacing, drooling, and entertaining devotees, Sunflower Dead were a highlight of the show. 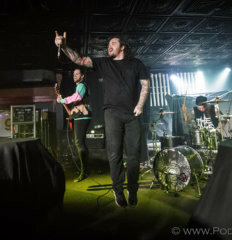 Darkness ruled when The Browning took the stage, and crowd surfing with a mosh pit formed during the first guitar lick of the very first song. 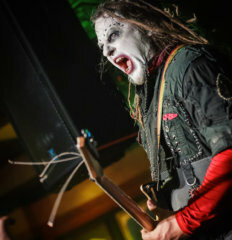 Lead Jonny McBee relentlessly pumped up the gathering to an ever-increasing frenzy for an intense experience. 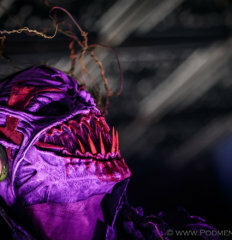 The final band of the night, experimental metalists Mushroomhead filtered onto the platform with an operatic build up, creating a visually dynamic display replete with costumes of horror masks worthy of any high budget Hollywood film. 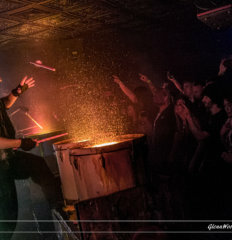 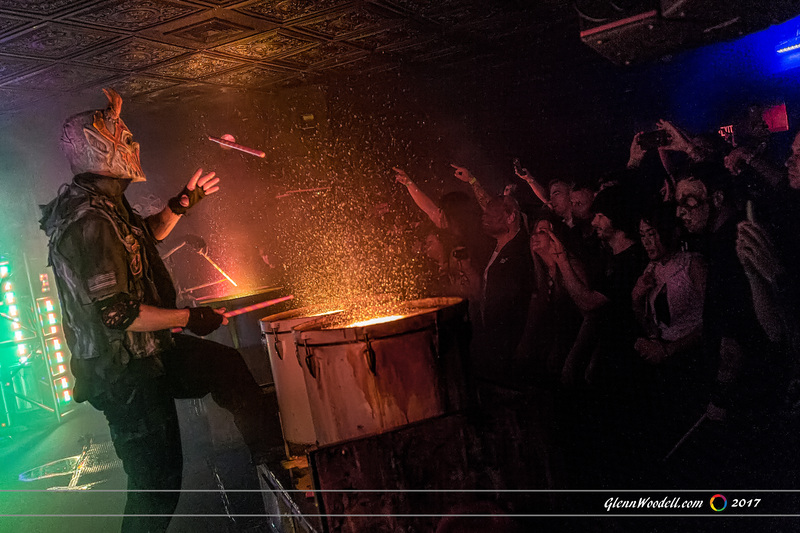 Creatures twirled drumsticks in tandem while pounding twin florescent water drums that sprayed both the ceiling and concert-goers, while ghouls with guitars moved in ritualized display. 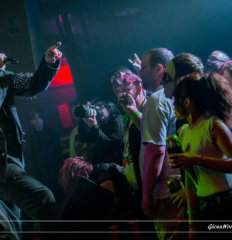 Various vocalists rotated on and off the stage, among them special guest Jackie LaPonza. 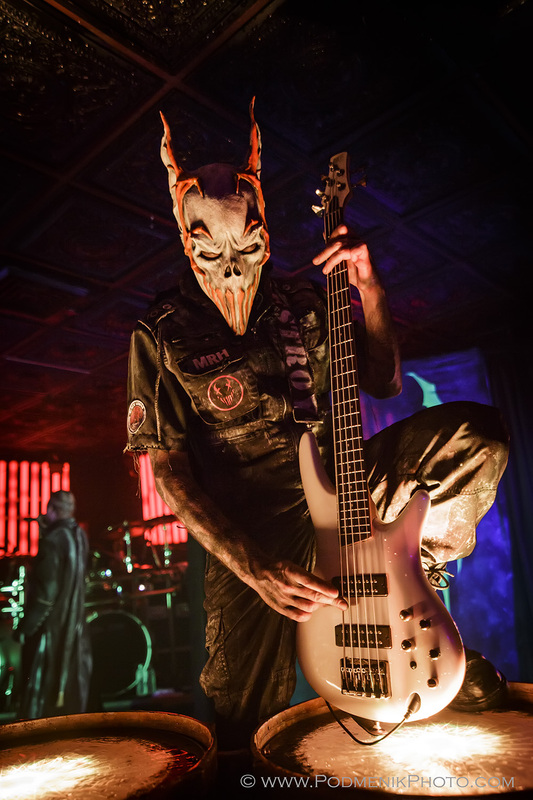 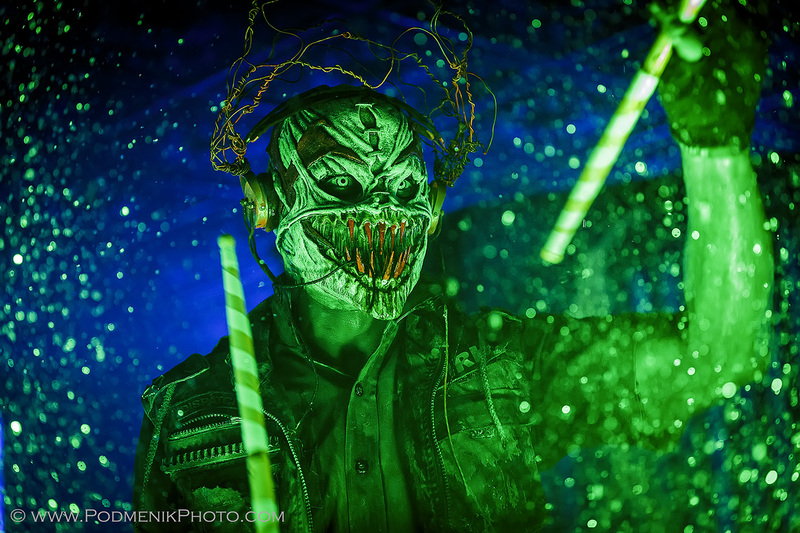 Mushroomhead’s latest album The Righteous & the Butterfly, released in 2014, reached #20 on Billboard’s charts and proves that this early 90’s Ohio-based band has an enduring popularity while it has completely avoided any dilution of their original creative vision.